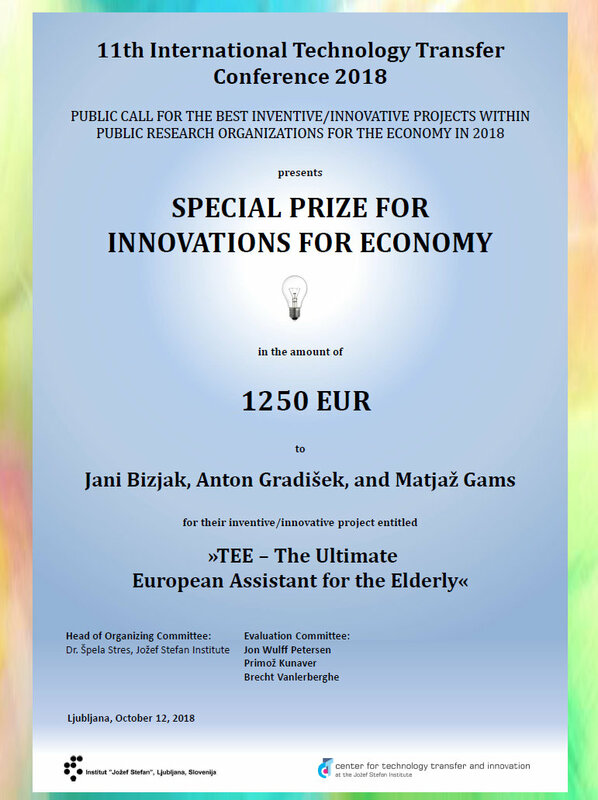 Jani Bizjak, Anton Gradišek and Matjaž Gams have were rewarded a special prize for innovations for economy, at a 11th International Technology Transfer Conference 2018, for submission titled: “TEE- The Ultimate European Assistant for the Elderly”. The system is designed to help elderly live a safer, fuller and healthier life with help of a virtual assistant that accompany them in a form of a smartwatch. The system is a result of years of experience within the department in the area of activity recognition and was developed within the scope of multiple projects (H2020 IN LIFE and EMZ) over the past 4 years. Welcome to page ura.ijs.si. We will introduce you two new models of smart safety watch JSI: LEM 5 and LEM 6.